GOLDEN MILK - To heal, soothe & nourish! I'm very close to my mum - we talk on the phone almost every day and I am lost when I don't speak to her. She is 72 now and any time something goes physically wrong with her I am reminded of her age and her fragility and it fills me with anxiety. I don't know how I will cope when it comes time to lose one of my parents. Yet I know the time will come and somehow I will have to go on. My mum is suffering this week. She has had a bad tear in a supraspinatis and is in incredible pain and unable to move one side of her body. I made this drink today with her in mind. I know it will help the inflammation in her body and I truly believe in the incredible benefits of turmeric. 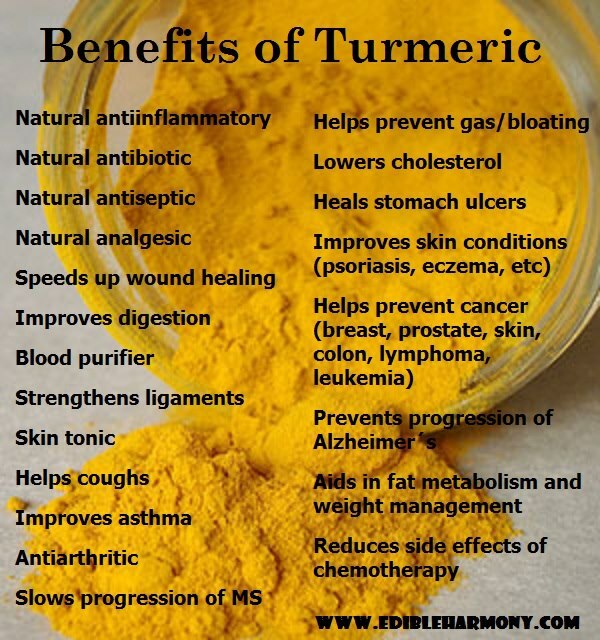 I have seen turmeric do amazing things for people in pain and with inflammatory conditions. I also know that when I'm feeling out of balance I need a daily tonic. This one ticks all the boxes as it contains ingredients that I know will keep my immune system strong during times of stress. My mum needs strength now and so do I.
DISCLAIMER: Okay now I need to be upfront and honest. 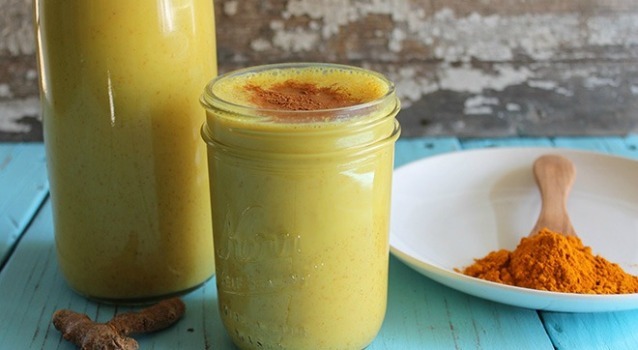 If you are not used to the taste of turmeric then this drink might be a bit FULL ON for you! It is not a drink for the faint hearted. That is not what a tonic is. This is a therapeutic drink that is spicy and strong. It's filled with a range of incredible spices that have strong therapeutic activity. It is not going to taste like a sugary processed chai latte. 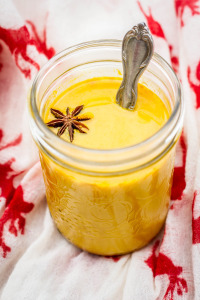 It tastes a little bit like a bloody mary without the tomato, a little bit like a chai without the milk or honey, it's spicy and warming, super healing and nourishing for the body. I honestly don't know how to explain it other than when I drink it I feel like my whole body is being nourished. I'm drinking mine warm right now like a tea but it would be beautiful on a hot day with some ice blocks. If you want to make a large batch it should last you 2 - 3 days if refrigerated. 2 cups of home made almond milk. I personally dislike store bought almond milk so I would not recommend it for this drink. I recommend making your own which is super easy and the recipe is HERE Coconut milk would work too! If having cold refrigerate for a few hours and serve with ice after shaking well. ENJOY THIS RECIPE? MAKE SURE YOU JOIN THE NEWSLETTER LIST NOW SO YOU DON'T MISS ANY NOURISHING RECIPES!